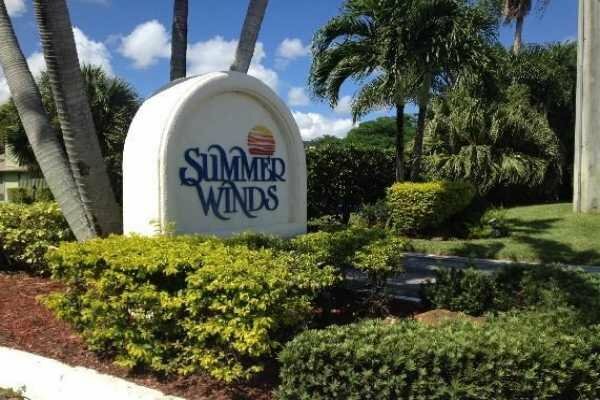 Summerwinds is a small townhome community located just west of Military Trail and south of Toney Penna Drive. The neighborhood consists of 83 townhomes that vary in size from 1,200 to 1,800 square feet and two to three bedrooms. The community was built between 1984 and 1989 and features a community swimming pool and basketball courts. Located in the heart of Jupiter within walking distance to Jupiter Medical Center. Close to dining, shopping and just a short 10 minute ride to the beautiful Jupiter beaches. Zoned for A rated schools.